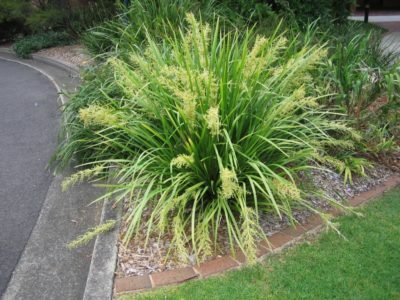 Jubata grass is perennial grass with long leaves arising from a tufted base, known as a tussock. 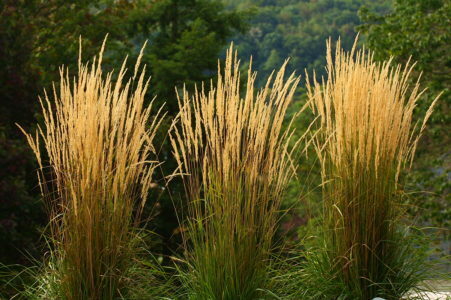 It is in the same genus as the invasive plant invasive pampas grass (Cortaderia selloana)and is easily confused for pampas grass. 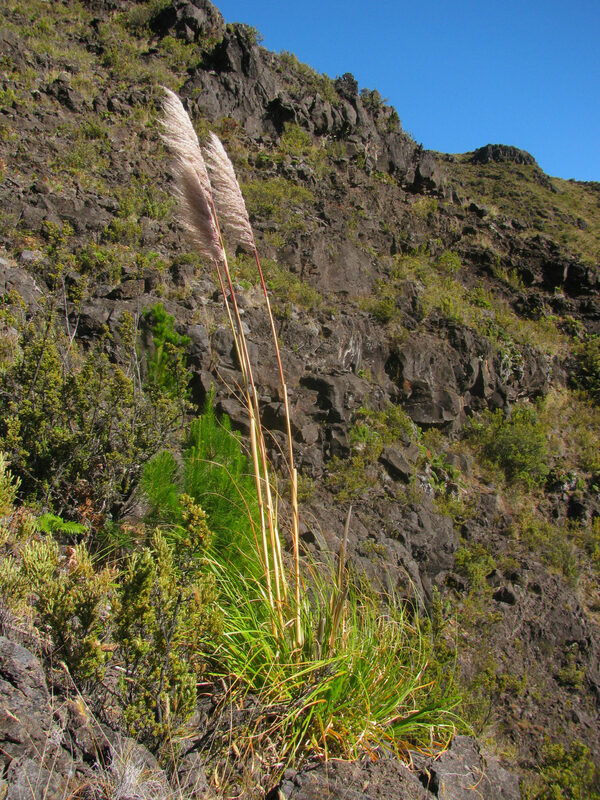 The stems are generally twice as long or more as the tussock, with plumes of female flowers that are deep violet when immature and turn pinkish or tawny cream-white at maturity. 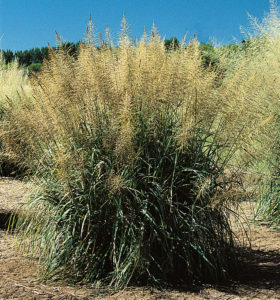 The tussocks of jubata grass are less erect, more-spreading, and not fountain-like when compared to the tussocks of Cortaderia selloana. 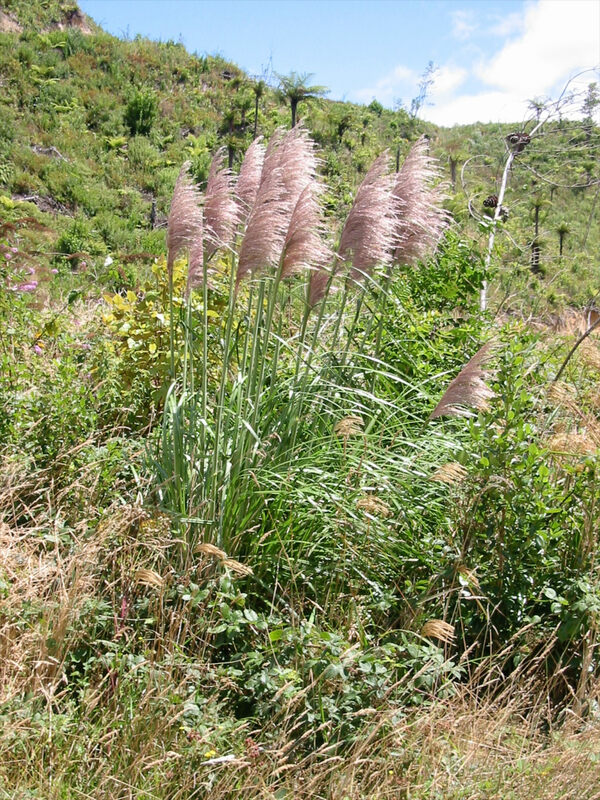 Jubata grass is native to northern Argentina and the Andes of Bolivia, Peru, Chile, and Ecuador. It was first cultivated in France and Ireland, and it is unclear how or when it was brought to California. How does jubata grass spread? 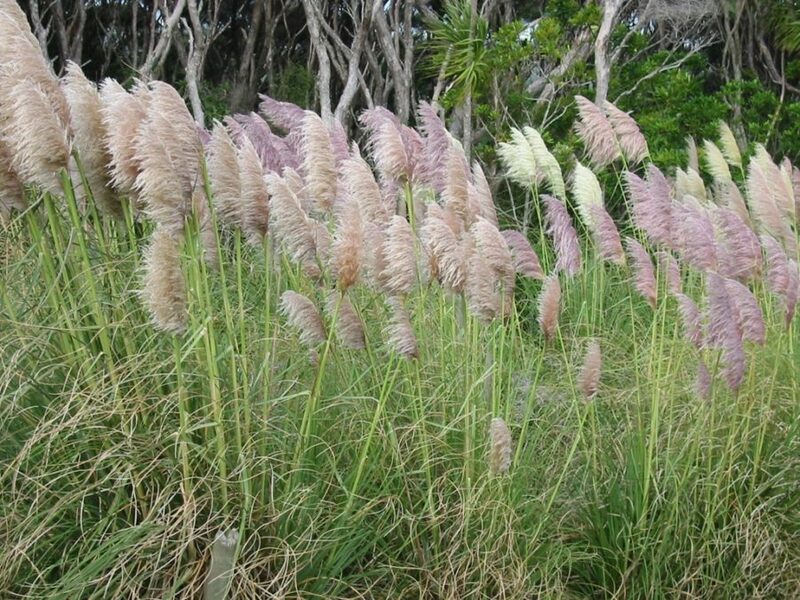 Jubata grass reproduces by asexual means only. It blooms from late July to September and can flower twice in one season. It only produces female flowers, but viable seeds are able to develop without pollination, meaning all seeds are genetically identical to the parent plant. 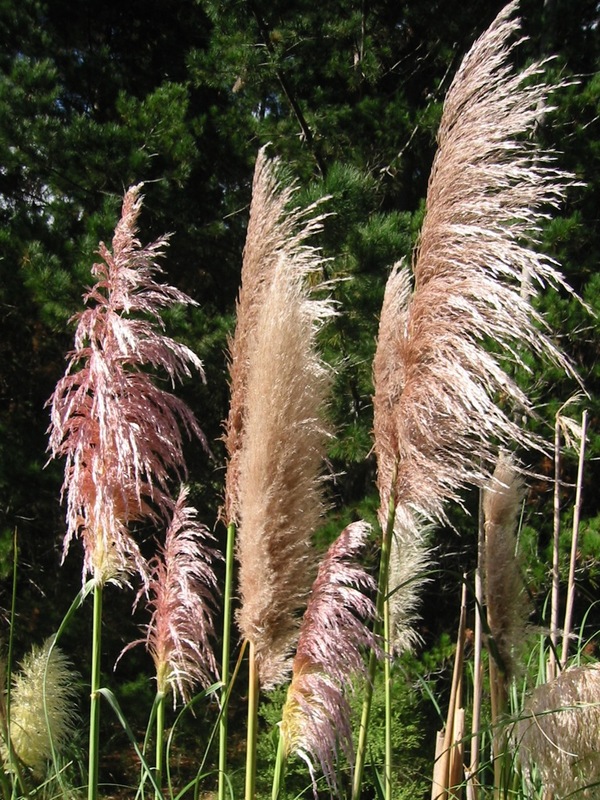 A single individual of pampas grass can produce 100,000 seeds per plume, and large clumps can produce a million or more seeds. The seeds do not appear to survive long in the soil. Seedling growth and establishment are most rapid on bare, sandy soil and exposed road cuts, but typically requires a cool, foggy climate and moist soil to germinate. Plants grow slowly at first, but once established, will grow rapidly. The seeds can blow up to 20 miles in the wind. This allows the grass to spread rapidly and colonize new areas. Where is jubata grass found? 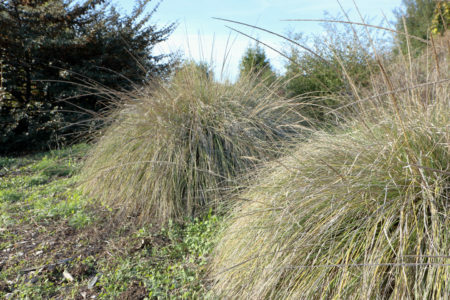 In California, jubata grass occurs only in coastal areas. It has become common in disturbed ditch banks, road cuts, cliffs, eroded or exposed soil, and cut-over areas in the coastal fog belt from Santa Barbara County to Humboldt County. There are large infestations along Highway 1 near Big Sur. It nearly always occurs on open sites. Though typically found on sandy soils, it can survive on other soil types, including serpentine. 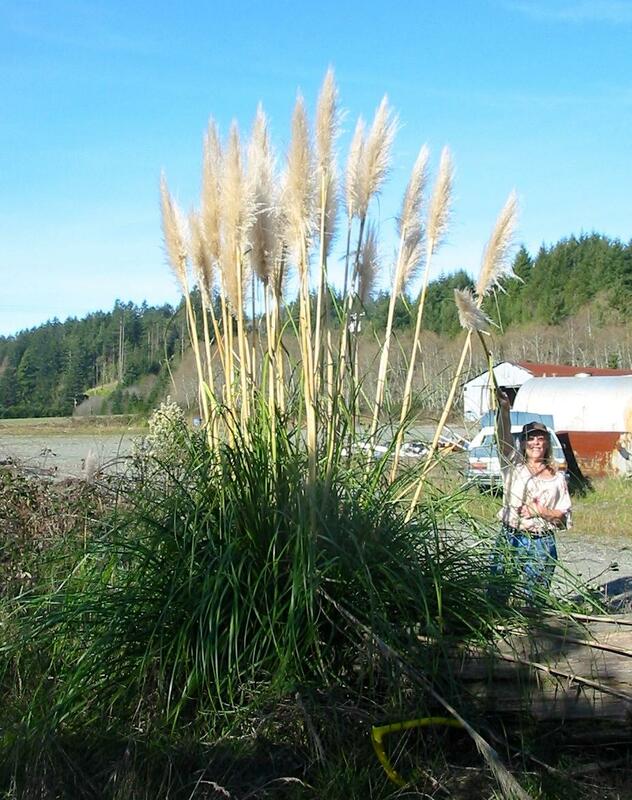 It was first reported as a weed in California in logged redwood forests of Humboldt County in 1966. It does not tolerate winter frost, hot summer temperatures, intense sunlight, or drought, which may account for its inability to become established in the Central Valley of California. What problems does jubata grass cause? 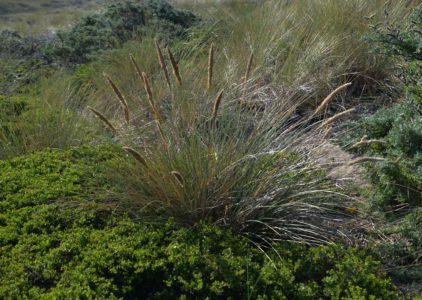 Jubata grass threatens native coastal ecosystems by crowding out native plants, particularly in sensitive coastal dunes. 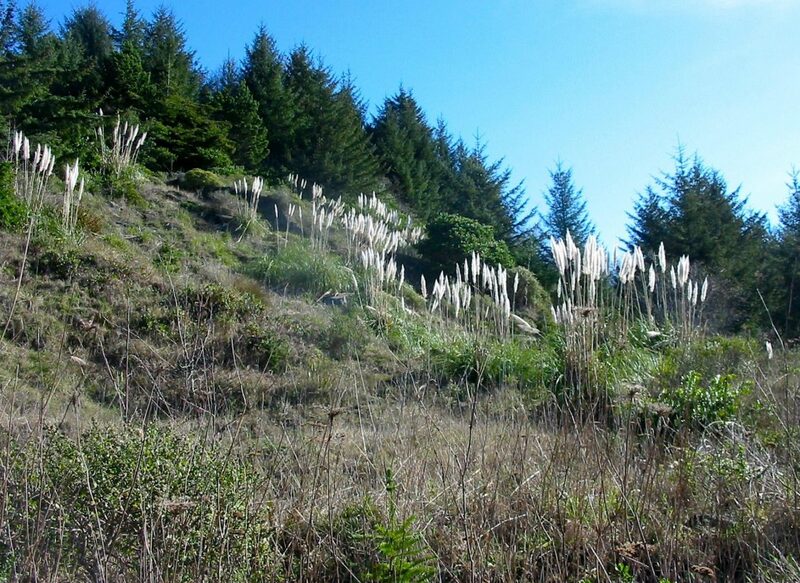 In northern California redwood forests that have been logged, jubata grass suppresses reestablishment of conifer seedlings. 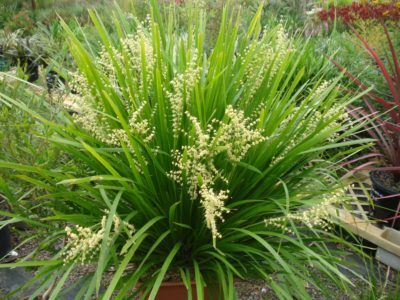 It also creates a fire hazard with excessive build up of dry leaves, leaf bases, and flowering stalks. Because it is such a large plant, it can make fire management activities more difficult by blocking vehicle and human access. The leaves are toothed along the edge like a saw and can cause injury to humans. Exercise caution with when removing larger plants. Seedlings can be easily removed with hand pulling.